You are invited to the Doll’s Garden Party in Celebration of Izannah Walker’s 201st Birthday! The fun will start at 8:30 am Eastern Time & continue throughout the day With multiple blog posts to keep you updated on preparations and party celebrations. 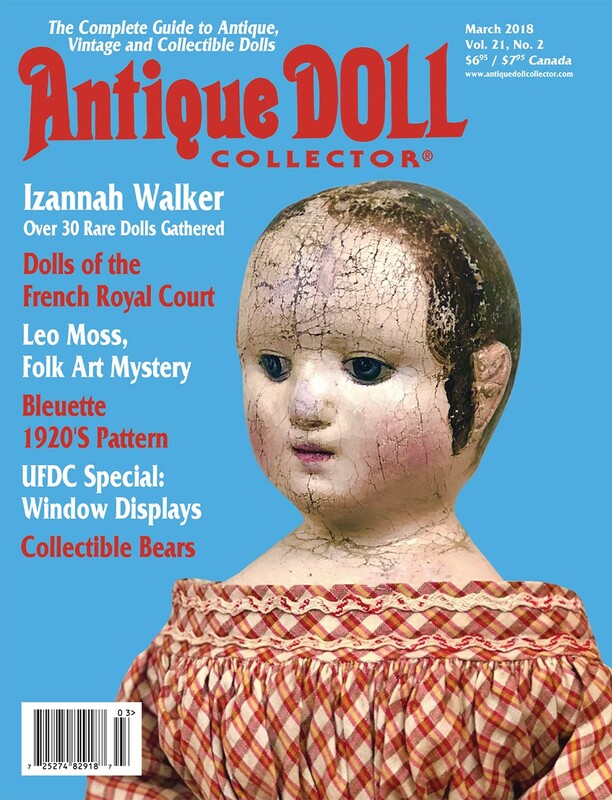 I will be unveiling new reproduction Izannah Walker dolls for sale. 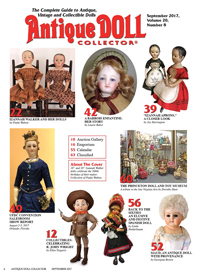 Dolls and accessories will be posted for sale at 8:30 pm Eastern time, which will give you the entire day to watch the dolls at play and become acquainted with them. Welcome to Saturday night in my studio! This is the final installment in my Izannah Walker 200th Birthday celebration. Tonight I’m offering two undressed dolls, an 18.5 inch tall black Ismay and a 16 inch tall Anna (yes I DID say 17 inches in the video, because they are usually 17 inches, but she looked a bit petite, so I measured and she is 16 inches tall). 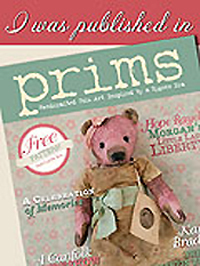 For this milestone birthday observance, the dolls I introduced on Monday featured antique clothing. Since tonight’s dolls do not have any clothing, my birthday treat on these dolls is a $200.00 discount if they are purchase this weekend. This special birthday pricing expires at midnight (Eastern Time) tomorrow night, October 1st. 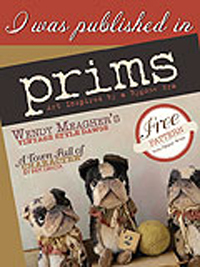 Dolls are sold on a first come basis. 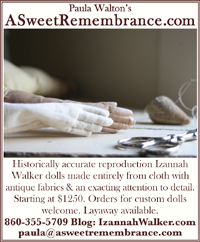 Dolls will be sold to the first person sending an email request to purchase each doll to paula@asweetremembrance.com . If for any reason the sale falls through, then the next person in line will be contacted. 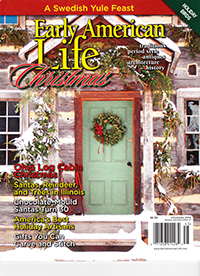 Payment by Paypal, credit card, personal check or lay-away. 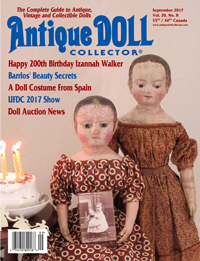 Do you remember the instructions that I posted on Monday for making a classic mid-19th century dress for your Izannah Walker doll? I posted them, in part, because I knew that I would be offering these two dolls especially for all of the dress makers among you. ❤ Creating wardrobes for these dolls is such fun! Searching for just the right fabric, buttons and trims can become rather addictive. 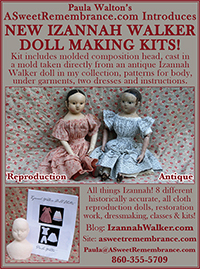 Both dolls will come with a copy of my Izannah Walker Doll Clothes Pattern. Ismay – $1000.00 – Special Birthday Pricing! $800.00 – You have one custom option on this doll, I can paint a stripe of any color you request at the top edge of her boots. Anna – $1050 – Special Birthday Pricing! $850.00 – Your custom option on this doll is her hairline. I was going to just paint feathery wisps around her face, but I decided to wait and give anyone buying her this weekend the chance to choose between wisps around her face or curls in front of her ears. If you decide on curls you may also choose a wavy, straight or winged hairline. At the moment she only has one coat of paint on her hair. Once the 2nd coat is added her hair will be darker and will not be transparent.